Dallas, Tx – May 31, 2018 – North American Cannabis Holdings, Inc. (USOTC: USMJ) and Puration, Inc. (USOTC: PURA) published a shareholder update presentation today on the company’s website. The presentation details a major strategic update that includes two spinoffs and two dividend distributions of spinoff stock, one to the shareholders of USMJ and one to the shareholders of PURA. The strategic update is designed to capitalize on the two company’s successes with EVERx CBD Infused Sports Water and the AmeriCanna Cafe and to build momentum behind new cannabis cultivation and ecommerce businesses. The presentation narrative is included in its entirety below. See the company website for more detail. North American Cannabis Holdings, Inc. (USMJ) entered the cannabis sector in 2013 with an incubator business model. The company experimented with a number of cannabis related business endeavors to include cultivation, extraction, retail, infused consumer products and specific health applications. The extraction operation developed into a spinoff that was sold to Puration, Inc. (PURA) in a transaction that included an issuance of PURA stock in a dividend distribution to the shareholders of USMJ. Today, the controlling interest in both companies is held by ACI Conglomerated (ACI). ACI continues to experimentally enter various cannabis related sectors and where specific endeavors gain traction, to develop those endeavors into business operations with the intention of establishing new operations in public listings that can be independently capitalized for growth. In conjunction with the independent listings, ACI intends to issue stock in the new public listings in additional dividend distributions similar to the PURA dividend issuance to USMJ shareholders. The purpose of this update presentation is to specifically address the strategic spinoff of two operations and corresponding issuance of two dividend distributions. USMJ management has developed a strategy to enter a new line of business well suited to USMJ’s history and at the same time, spinoff USMJ’s AmeriCanna Cafe restaurant operations into a standalone publicly listed company in a transaction to include a dividend issuance of stock from the independently listed restaurant company to the shareholders of USMJ. ACI has already struck a deal to acquire control of an existing public company already in the cannabis sector. That acquisition is anticipated to be complete within the next 30 days. After the acquisition, USMJ will sell its AmeriCanna Cafe restaurant operations to the newly acquired company in exchange for stock in the newly acquired company, a portion of which will be issued to the shareholders of USMJ. USMJ’s primary business operation moving forward will be ecommerce. The company has already begun construction on an ecommerce solution to establish USMJ as the premier source of cannabis sector consumer products. At the same time, the company has also started to develop distribution agreements with manufactures of cannabis sector consumer products. USMJ is a well-known name in the cannabis sector with a high traffic website. The company also brings retail and wholesale experience to its new ecommerce operations which will feature leading CBD infused edibles and beverages in addition to a host of other products. The vision for the company is to become the Amazon of cannabis. Last year, PURA introduced EVERx CBD Infused Sports Water as an evolution of the company’s cannabis extraction business. EVERx has since become a recognized brand in sports nutrition market place. Distribution is growing. 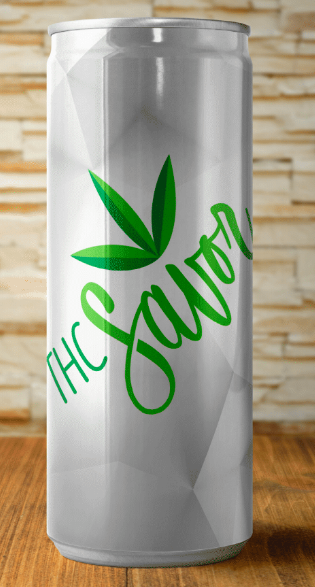 PURA has recently designed a THC infused beverage named THCSavor expected to be introduced in Canada later this year. In a strategy to extend the company’s extraction business upstream into cultivation, PURA acquired a grow operation last year and recently acquired an additional cultivation business in Canada. PURA management now plans to spinoff its cultivation business into a standalone, independently listed company and concentrate PURA’s ongoing operations on expanding its cannabis infused beverage business. The transaction to structure the cultivation business into a standalone independently listed public company will include a share exchange between PURA and the independently listed public company where shares of the independently listed public company will be issued to the shareholders of PURA in a dividend distribution. An independently listed public company for the planned spinoff of PURA’s cultivation operations has not yet been specifically identified, but efforts are underway to lockup a deal soon. Behind the spinoffs and dividends are the essential marketing and operational developments to build successful ecommerce, restaurant, beverage and cultivation businesses. Shareholders can expect a number of exciting upcoming announcements as management unfolds the marketing and operational details behind the updated business plans. For more information on North American Cannabis Holdings and Puration, visit http://www.aciconglomerated.com/.